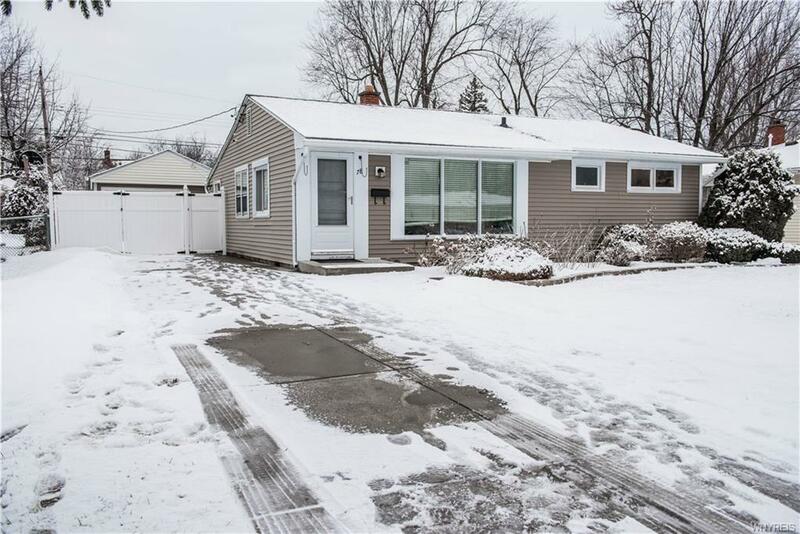 This 3 bedroom ranch in Amherst shows true pride in ownership. Recent updates include: In 2013 New roof, hot water tank, and furnace. In 2014 New driveway, custom stamped patio, and electric panel with service line replacement. In 2014 the kitchen was remodeled along with the bonus room in the garage and new landscaping. In 2018 the living room was remodeled and all the brick retaining walls were installed.